The recent wedding of Prince Harry to Meghan Markle has prompted me to write this post: a frank confession of my practically life-long interest in, and admiration for the Royal Family. I speak not as a Monarchist, but rather as a FAN. And when I say 'fan' I mean someone who has followed the dramas that have gone on in the House of Windsor since before the Coronation of Elizabeth II in 1953. In 1989, I wrote a book called The Coronation Picnic about this time and here is a quotation from it, which perfectly describes me: "The scrapbooks lived in the bottom drawer of the chest-of-drawers ...they were Amy's most precious possession. They were filled with photographs cut from newspapers and magazines, which together recorded the life of the Royal Family. Now, as well as pictures of a smiling Princess Elizabeth on the balcony of Buckingham Palace and a smart young lady in uniform, as well as wedding photographs and portraits of the new baby prince, there were sad pictures of King George VI's funeral, with his mother and his wife and his daughters, all dressed in black." In Jesselton, we celebrated the Coronation with a Launch Picnic. This meant going to an offshore island called Gaya where we swam and ate and what I remember of it most vividly was that the sea bed was completely visible through fathoms of totally translucent turquoise water, for the whole length of a twenty-minute trip in a motor launch. We went on such a picnic almost every weekend, but I used the one just before the Coronation as the background for my ghost story. In real life, there was a party for the children at the Club, featuring lots of cake and lemonade and small sandwiches. A brass band performed on the Padang, or field, which was part of the Club's grounds. 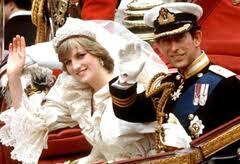 The photos and film of the actual Coronation reached us some time later. I was very impressed with the pomp and the ceremony...the music thrilled me, too, and since that day, I've taken a strong interest in every doing of the Royals. It's the Soap Opera to end all soap operas and I regard every 'episode' as doing what the best soaps do: building up layers and layers of knowledge about the main characters and taking in life-changing events and dramas....the death of Diana, Princess of Wales was one such moment, and the most obvious, but every little scandal or tragedy or piece of celebration is grist to my mill. My opinion of individual members of the Royal Family changes over the years, according to how they're behaving, but certain things remain forever as they were. I fell in love with Prince Philip when I was 8 and none of his very obvious character flaws, and not even his rather disastrous decisions when it came to educating his eldest son, let alone his 'gaffes' have done anything to put me off him. I think he's very, very handsome and gallant and very good to the Queen. They are still, after more than 70 years of marriage, happy together. The compromises each has had to make along the way is their business, but there can be no doubt of their mutual devotion. The Queen is admirable. My friends and I knew, back when we were very young, that Margaret was the naughty one and Elizabeth the dutiful, good one. I was at boarding school during the Peter Townsend affair and we thought the whole thing terribly romantic and sad too. We've learned a lot lately about what Margaret was really like but she was always touched with a kind of glamour for me because of her love of the arts, especially ballet. One thing, though, has changed completely. I look at photographs from the 50s and see how lovely the young Elizabeth was. She had been a kind of frumpish figure in my eyes but now I can see that I was quite wrong and she was always the prettier of the sisters and even though not as outwardly glamorous as Margaret, beautiful and serene and yes, well-dressed for most occasions. And so to weddings. On the day that Prince Charles married Diana Spencer, my daughters had the day off school and we watched the whole event on TV. My elder daughter was 10 and the younger was 4 or so and I can report that this wedding did not turn either of them into followers of the Royal Soap Opera, though Younger Daughter did enjoy watching the latest Royal Wedding. Everyone was given mugs, or coins (I can no longer remember which!) and the whole day had the feel of a holiday. I was 37. I can remember cringing at the awful interview when the couple became engaged, with Prince Charles looking most uncomfortable and saying memorably, horribly: "Whatever love means". I could see that this marriage was not going to be plain sailing. I had mixed feelings about Diana Spencer. I felt sorry for her. I hoped she'd be okay, but as the years went on (with happy interludes for the births of the two princes, William and Harry) the whole world, thanks to television and the Press, watched as the Soap Opera went into a kind of hideous spiral culminating in the tragic death of a very pretty, glamorous, kind but deeply troubled woman. The funeral was terribly sad, and no one who saw it can forget those two young boys walking behind the coffin. 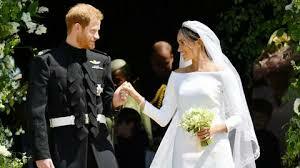 The designers of Soap Operas could hardly have hoped for a Narrative Arc more perfect than both Diana's sons finding what seems to be genuine happiness in their own marriages. I also like the Lesser Narrative Arc which seems to have ensured the closeness of the brothers. Above is the Royal Wedding that's closest to my heart. Charles and Camilla are the least loved, I think, in the family, but I have a lot of time for the Duchess of Cornwall. When she and Charles were married I heaved a sigh of relief. They were meant for one another, and ought to have got together decades earlier. (See Duke of Edinburgh's mistakes.) They love one another. They've loved one another since they were very young indeed. Also, I like Camilla for a silly reason: of all the members of the Royal Family, she's the one who reads. I sent her a copy of my novel 'Made in Heaven' which has a whole section in it about her wedding to Charles, and her secretary wrote me a lovely letter back saying thank you. Ask any writer: a thank you letter, especially one on headed notepaper, is a very rare thing indeed. When this happened, I suggested in an email to Susan Hill that Camilla was just being polite and would never read it and Susan assured me she would. "She's a real reader," Susan said and they know one another, so I believe her. I also admire the fact that she seems a good step-mother. It can't have been easy to make up for a loss like that suffered by William and Harry but they and Camilla get on well now, I believe and that's to the credit of everyone. I'm a bit ambivalent about Prince Charles but he's made a beautiful garden at Highgrove and his Duchy brand makes very nice lemon shortbread biscuits. His sons seem to love him and to love Camilla as well. This, in Soap Terms, counts as a very happy Narrative Arc. The media, I feel, might try and get us to take sides in the matter of which Duchess we like the best. Will we be Team Kate or Team Meghan? The Duchess of Cambridge is my local duchess, so to speak, and I really enjoyed her wedding to Prince William, with highlights such as Pippa Middleton's derriere, and so on. I continue to think she's lovely and I'm not among the detractors who mock her as 'norm core'. She always looks elegant and pretty and seems to be managing her life in the public eye with admirable reticence. I also like the look of her daughter, Charlotte, who is going to be, I predict, a Handful in the nicest possible way. She's already a Star Waver and seeker of the camera lens...that's going to be fun to follow as she grows up. Her parents have kept her away from the Press's attentions most effectively so far, but the decades will roll on and little princesses grow up...so do little princes. That's going to be very interesting to watch. And so to Meghan Markle, who has brought something new and wonderful to the story. She's from Showbiz Royalty which has arguably more clout than our own variety. She's beautiful, talented and seems intelligent too. She's brilliant at interviews and knows how to present herself to the media in ways that our own un-show-biz Royals can only envy. I loved her in Suits and see no reason why she won't be just as good in this new part. She's taken it on for life, but I think she'll enjoy it and what the Wedding on May 19th showed an audience of billions round the world is this: Charles may not know what love means, but his son has no doubts whatsoever. He's madly in love and so is Meghan and that feeling between them made May 19th an occasion for the whole nation to rejoice. The Soap Opera Gods outdid themselves on that day. Everything looked wonderful, everything went exactly as it ought to have done. The whole congregation loved the service and so did we. Beautiful music, beautiful flowers, beautiful guests of both sexes, wonderful exchanges between members of the family and above all, Charles being kind and courteous to Meghan's mother who was there by herself. She was there alone because Meghan's family.....but that's a whole other soap opera, which may or may not become featured in the Windsor story. Labels: Adèle Geras, Prince Charles and the Duchess of Cornwall, Prince Harry and Meghan Markle, Prince William and Catherine Middleton, Queen Elizabeth II, The Coronation, The Royal family, Weddings. Soap operas. Definitely a soap opera! I actually have a copy - somewhere! - of The Little Princesses(missing dust jacket). My Dad used to bring home all sorts of odds and ends. I remember envying the princesses for having ponies when I lived in the suburbs and couldn’t, and for having a full-sized cubby house! I wished I had such pretty costumes for doing plays at home... Of course, by the time I read it, both of them were grown, with children. 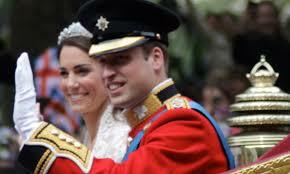 These days, everyone - now including the Yanks - is following the royal soapie. And women’s magazines are nasty. The Woman’s Day, which my mother gets weekly, has had cover photos with a beautiful and radiant Kate - and next to her an ugly and angry-faced Camilla. Inside, there is usually an article about them, never quite as awful as suggested by the cover, which hints at something unpleasant that Camilla did to Kate. Then you read the article and ... it’s something fairly innocuous. Which doesn’t stop them from suggesting that Kate is being trained up to become Queen when the throne skips a generation and her husband becomes King instead of his father. Of course, these same magazines say the same thing about the Danish Royal family, because- it sells magazines! Possibly one reason why the British Royal Family is so fascinating, is that we only get glimpses of their lives. and have to imagine the rest. I was born two weeks after George VI died, so have only lived in the New Elizabethan Age. I wrote a Kindle Single called 'Rationing & Revelry' based on interviews with all sorts of people who witnessed the coronation in 1953, many through their first sight of a television. This is a lovely look into a child's view, thank you.